My tool kit has longed for a router plane for some time. Why? Because my dados need their bottoms flattened to a consistent depth. Because my rabbets need to be trued—and to the same depth. Because my tenons need to be trued too. Because I wanted to do these functions accurately by hand versus a power router. Because my Stanley family was anxious to add a new brother to the mix. In the year I’ve been combing estate and garage sales I’ve never seen even one router plane. So it was to eBay I went, picking up a Type 8 (1909-1915), “buy it now” find for $35.00. The $15.00 priority mail shipping fee was a bit steep. But it arrived well-packed and undamaged to my door. You would think that that is to be expected, but based on the number of horror stories I’ve read in the last six months from woodworkers it’s not. Apparently the US Postal Service is a shadow of its past glory, delivering hand planes cleanly broken in half, broken totes and other fates too chilling to recount here. The bottom line is this, don’t eschew high shipping costs if you confirm that your seller is going to liberally use protective wrapping along with a suitable box size for your treasure. Here’s what I had to start with. The disassembled parts went into Evaporust overnight. The handles were in great shape so I just wiped them down with mineral spirits to clean them, followed by a coat of BLO then some paste wax. The sole was not perfectly flat. In fact, it has “seagull” wings, meaning that the tips angle upward about 1/16″ higher than the base in the center. Rather than sand off the original plating (nickel?) I elected to leave it alone for now. And here’s the body after cleaning it up. In this case, the problem was the iron. After “flattening” the iron’s bottom, or so I thought, and sharpening the bevel, the bottom of my test cut slanted from left to right. The difference in depth from one side to the other was about 1/64″—very exasperating. I tossed aside the notion to flatten the blade free hand. Instead, I came up with an iron bottom flattening jig. 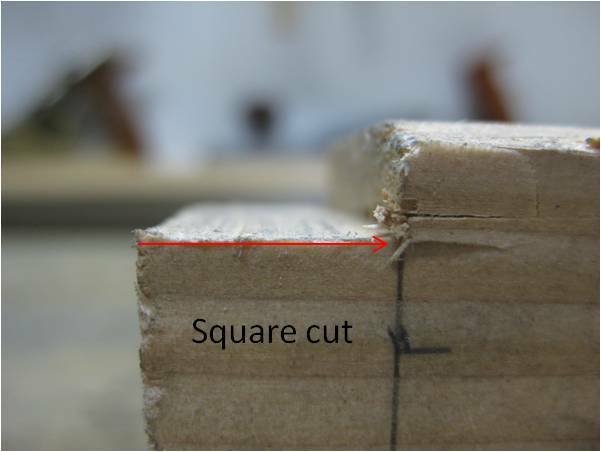 It mimics how the tool is used by placing two 1″ x 4″ boards parallel to each other on top of sandpaper. Then I lowered the iron until it touched the paper and—holding it so the iron tip pointed away from me—pulled the router toward me. I tried pushing it, but the iron just sliced up the sandpaper. Lapping through the grits (150, 220, 320, 400, 600, 1500, 2000) developed a portion of the bottom that is flat and square to the sole. After that, I touched up the bevel again until it would shave hair off my arm. That did the trick. 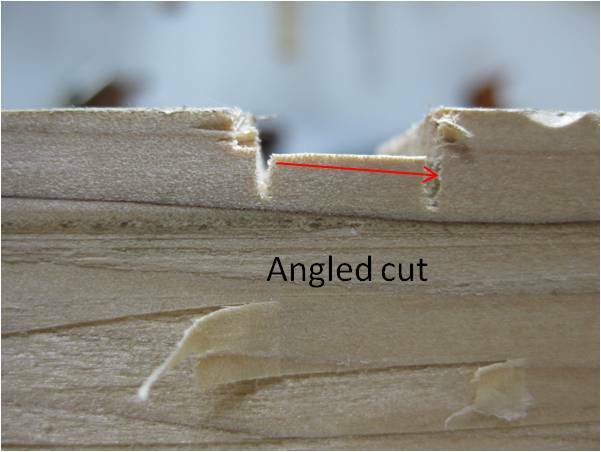 A test cut of a hand-sawn rabbet left a bottom that was flat and square to the sides. I’ve been using this tool on the wine glass rack I’m building. It was the last tool to touch the half laps and such. My overall impression of it is that it adjusts ok, and does decent work. But it feels more like a carpenter’s tool than a woodworker’s tool. Same goes for the Stanley #78. Yes, I can do decent work with it, but I still have to go over the rabbet with my shoulder plane if the iron is off so much as a smidgen. I’ve come to the conclusion that when it comes to joinery tools—where precision is measured in thousandths of an inch—that it makes sense to buy new. So I’m eyeing the Veritas router, skew rabbet plane and plow plane. Still, my Stanley family is happy to have a new member. The allure of a vintage tool minted about a century ago—when Dough Boys faced off against the Hun in the Fields of France is hard to beat. Route on brothers and sisters! 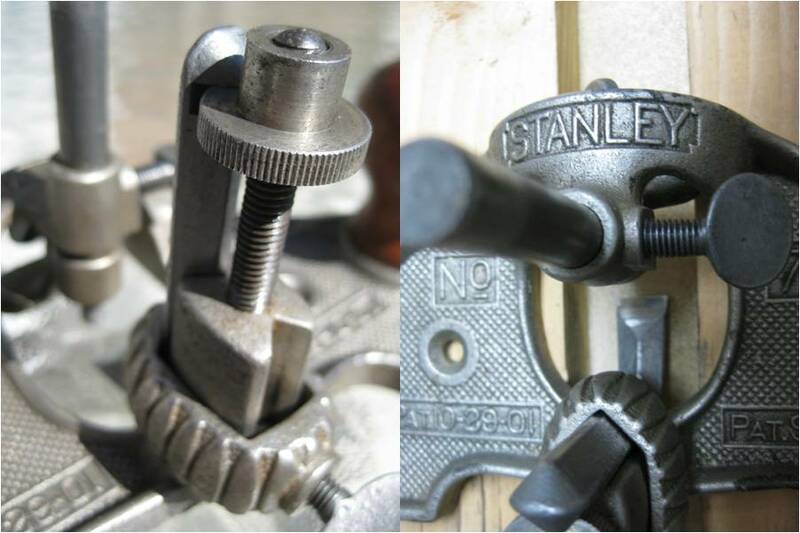 This entry was posted in Hand planes, Rehab and tagged rehab router plane, Stanley Bailey #71. Bookmark the permalink. 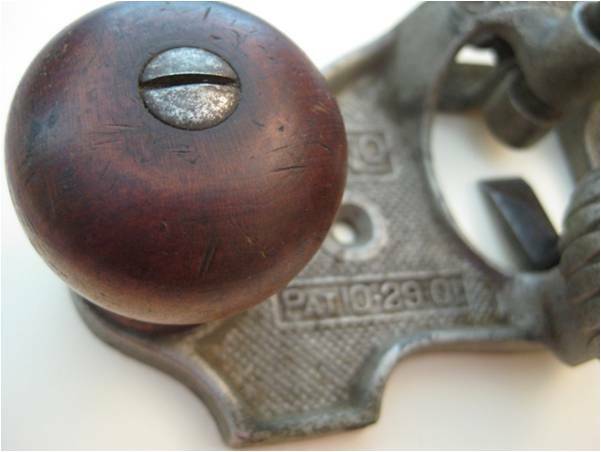 You’ve referred to this plane as “SB Router Plane #71” and have “tagged” the post as “Stanley Bailey #71.” When you’d used the “SB” designation in a previous post, it made some sense to assume that that the “B” stood for Bailey. However, it is not clear (to me, at least) why you have associated Bailey with this router plane design. Would you be willing to provide more information about the association of Bailey with this design? Hi Phil, I generically refer to planes made by Stanley as Stanley-Bailey planes for a few reasons. For one, many of Bailey’s patents are incorporated into the Stanley planes. And then there’s the fact that the name “Bailey” is prominently stamped on the toe of my Type 11 bench planes. After a fallout with Stanley Rule & Level Co. around 1875, Bailey went on to produce his own Defiance and Victor lines of planes. Hence, I would not refer to a plane so stamped as a Stanley Bailey. A good brief history of the Stanley Bailey relationship can be found at http://virginiatoolworks.wordpress.com/2012/04/23/stanley-vs-bailey-a-short-history/. Mike, yes indeedee. However, I found it much easier to secure the sandpaper underneath two 1″ x 4″ boards. This not only held the paper in place but ensured that I didn’t accidentally run portions of the sole over the abrasive.